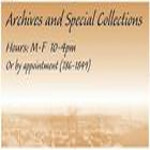 Archives & Special Collections has many archival collections that relate to miners and mining in Alaska, listed below in alphabetical order by creator. Follow the links to a more complete listing of the collection contents. Suntrana Mine, Healy, 1955. Ruth A.M. Schmidt papers, Archives and Special Collections, Consortium Library, University of Alaska Anchorage. Crew of the Ruff and Tuff Mine, Columbia Glacier, 1937. Russ Dow papers, Archives and Special Collections, Consortium Library, University of Alaska Anchorage. 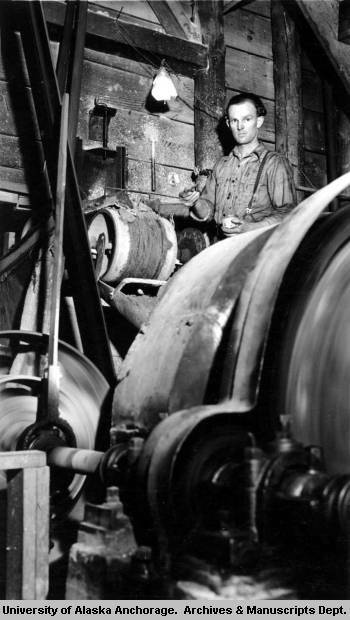 Charlie Porter feeding mercury into ball mill, Independence Mine, 1939. Russ Dow papers, Archives and Special Collections, Consortium Library, University of Alaska Anchorage. 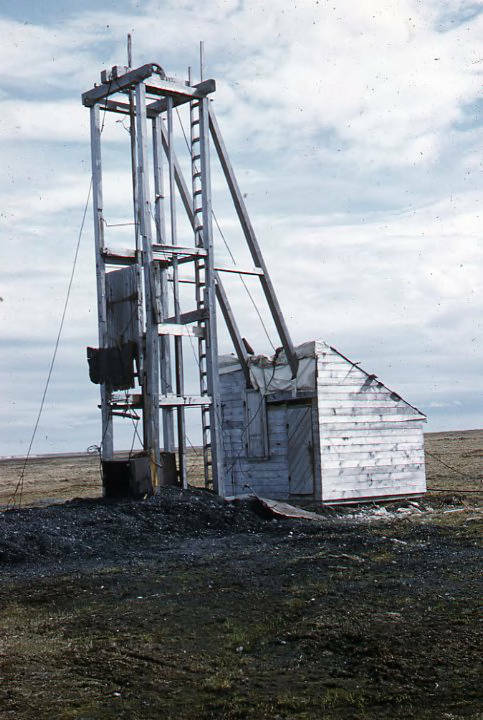 Meade River Coal Mine Shaft, North Slope, 1958. Ruth A.M. Schmidt papers, Archives and Special Collections, Consortium Library, University of Alaska Anchorage. 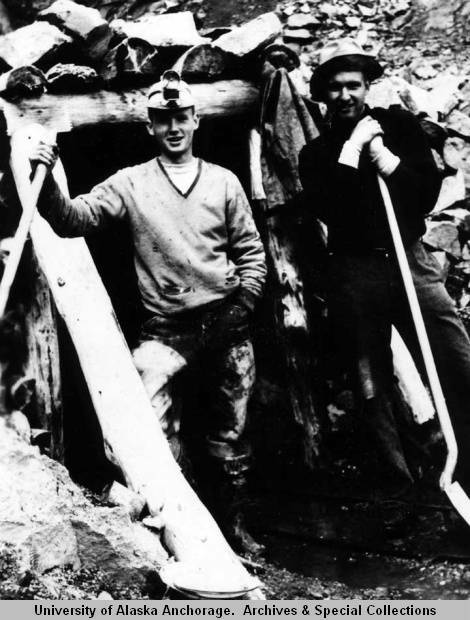 William M. Stoll and brother Walter Stoll at Independence Mine. Stoll family papers, Archives and Special Collections, Consortium Library, University of Alaska Anchorage. Mining in Flat, circa 1916. Erickson family papers, Archives and Special Collections, Consortium Library, University of Alaska Anchorage. 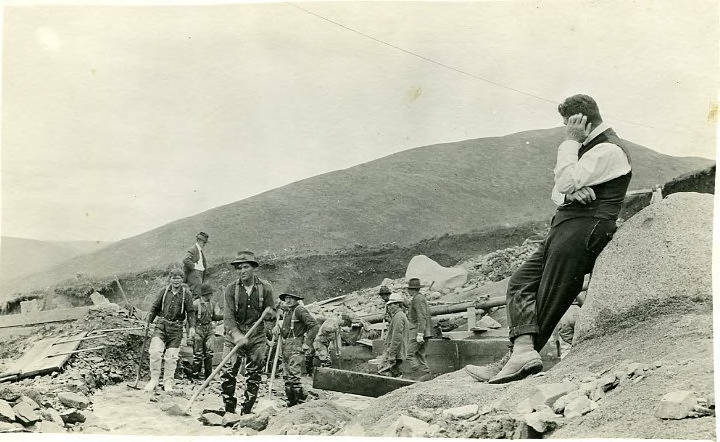 Follow the links to collection descriptions and inventories relating to miners and mining. You can keyword search all of our collection descriptions and inventories by using the search box available on each of the pages below. Alaska Pacific Consolidated Mining Co. Independence Mine records; 1930-1987. HMC-0023. Administrative and operations records from the company that ran the largest hard rock gold mine in southcentral Alaska The collection also includes papers relating to the history of the mine and photos of mining activities, personnel, and other mines in the Willow Creek Mining District. Kenneth D. Andress reminiscences; 1937-1943. HMC-0058. Four audiocassette recordings of Andress's oral history of his experiences living and working in Alaska from 1937-1943, including his reminiscences of working at the Alaska Juneau Mine (1939-1941) and for Independence Mine (1941-1942). Chickaloon Coal Company records; 1910-1922, bulk 1917-1919. HMC-1309. Records of a coal mining company in Chickaloon, Alaska. Chititu Mines Co. records; 1925-1949. HMC-0088. Records of the operations of a mining company located in the Nizina Mining District near McCarthy, Alaska that operated claims on Rex and Chititu Creeks. M. E. Coker mining photographs; circa 1946. HMC-0946. Thirty-five photographs taken or collected by Mrs. M. E. "Flossie" Coker, depicting placer gold mining operations at mines in the vicinities of the towns of Stuyahok and Girdwood. Harry and Ruth Dobson papers; 1906-1973. HMC-0100. Papers of a British miner who Ecame to Alaska in 1894 to prospect for gold on the Seward Peninsula around Nome and Teller. The collection contains letters, maps, and legal documents concerning his mining activity and photographs of mining activities, among other material. Lawrence and Olga Doheny family papers; 1910-1980. HMC-0355. Papers and photographs of an Alaskan mining family from Anchorage. Olga Standberg Doheny served as director of Strandberg Mines, Inc. from 1952-1961. Larry Doheny worked as a mining engineer for various operations including the U.S. Smelting, Mining, and Refining Co. and Strandberg and Sons, Inc.
Russell W. Dow papers. 1917-1992. HMC-0369. Russell Dow (1915-1992) settled in Alaska in 1936, worked in mining and construction, and was an avid photographer. His papers include photographs and materials relating to the Ruff & Tuff Mine, Independence Mine, and the Cripple Creek Gold Mine near Aniak. Erickson family papers; 1903-1971. HMC-0356. Papers and photographs of Arne Erickson and his wife Josephine Erickson, who operated the Crow Creek Mine near Girdwood. Arne was also a mining partner with David Strandberg in Flat. Robert Geehan papers; 1933-1940. HMC-1163. Robert Geehan was a Mining Engineer who worked with Harold Strandberg, owner of the Cripple Creek Mining Company in Folger, Alaska. This collection primarily contains blueprints, sketches, and financial records of the Cripple Creek Mining Company. The collection also contains estimated prophets, costs, balance and work sheets, food lists, payroll accounts, as well as sketches of the Homer Spit Wharf site and a possible air strip in Seldovia, AK. Richard Tighe Harris family papers; 1853-1969. HMC-0131. Richard Harris (1831-1907) and Joe Juneau discovered gold near present-day Juneau in 1881. The collection contains Harris's correspondence, drawings and photographs, maps, and other records, as well as legal, mining and financial records documenting his prospecting and business activities, especially for the period of 1879-1885. Mildred B. Hendricks letters; 1936-1940. HMC-0368. Mildred Hendricks (1989-1986) came to the Yukon in 1936 to be with her husband at various mining camps. The collection contains letters written by her while at Walkers Fork, Fairbanks, and Coal Creek. The letters concern her living conditions, activities, the people she met, and other subjects. Holmes family papers; 1915-1966. HMC-0138. This collection contains placer claims filed by Walter L. Holmes for Rex Creek, Calamity Gulch, May Creek, and Chititu Creek, records of the Rex Creek Mining Company and Dan Creek Mining Company, and photographs of the Holmes's mining operations, among other material. Charles Goodyear Hubbard II papers; 1897-1990. HMC-0141. Papers of an miner and prospector who was involved in copper mining in Alaska with his partner, Harry Elliot, until Elliot's death in 1909. Hubbard later became involved in placer gold operations on the Upper Kenai River near Seward, specifically Primrose Mine, and other locations on the Kenai Peninsula. A.G. Kirby papers; 1908-1909. HMC-0648. Letter and report concerning the Hurrah Quartz Mine on the Seward Peninsula. Kirby was involved in evaluating mines and potential mine locations. A. G. Maddren photograph albums; 1906-1914. HMC-0166-APU. Photograph albums of a geologist with the United States Geological Survey who worked on expeditions to Alaska from 1906-1914. The albums include photographs of placer gold mining activities. Joseph H. Murray papers; 1909-1933. HMC-0183. Papers of an Alaskan attorney and territorial House Representative who also worked as a miner in the Valdez and Calamity Gulch regions near McCarthy. J.B. and C.T. O'Neill papers; circa 1929-1947. HMC-0194. Papers of two merchants who participated in mining activities near McCarthy, including operation of Dan Creek Mining Company, from 1931-1947. Ruth A.M. Schmidt papers; 1912-2014. HMC-0792. 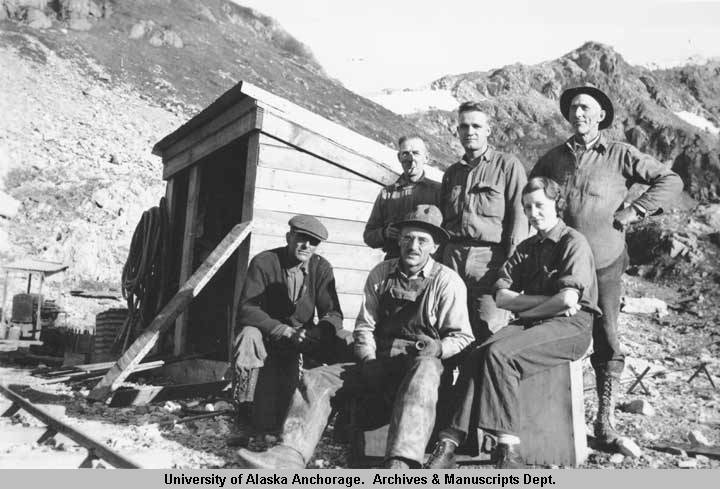 Papers of Alaskan geologist, Ruth Schmidt. 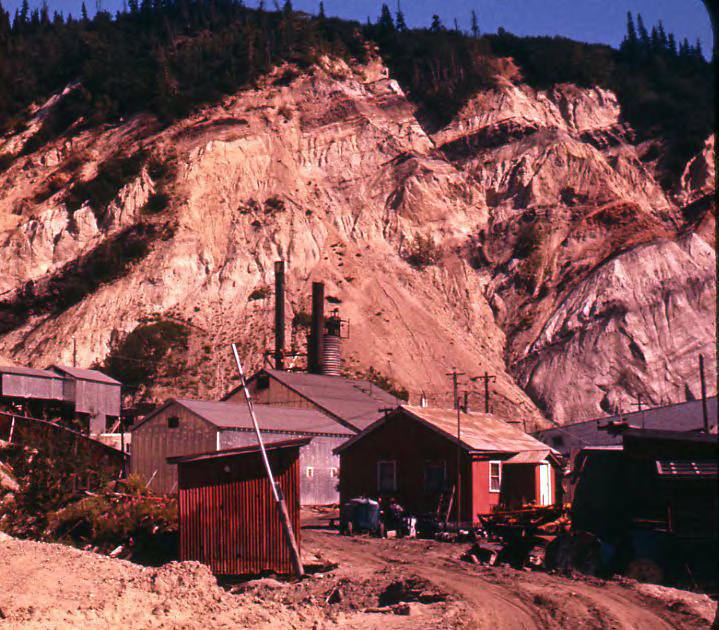 While a majority pertain to her work as a geologist, Schmidt traveled to, and took photographs of many mines in Alaska, including the Red Dog Mine; United States Smelting, Refining and Mining Company (USSR); Suntrana Mining Company and other mines around Healy, Alaska; Goodnews Bay Mining Company; Independence Mine; and Cripple Creek Mine. Lynn Smith papers; 1926-1933. HMC-0226. Papers of a gold prospector who prospected for gold in Dawson, Rampart, Fairbanks, Hot Springs, Tanana, Ruby, and Iditarod, operating a jewelry business in each camp to finance his prospecting. He also served as an agent for the North American Trading and Transportation Company in Ruby and as U.S. Marshal for the Fourth Judicial District, Fairbanks from 1926-1933. Stoll family papers; 1915-1987. HMC-0236. Papers of the family that ran Alaska Pacific Consolidated Mining Co., the company that operated Independence Mine at Hatcher Pass. The collection includes papers, maps, and photographs created and collected by brothers William M. and Walter Clericus Stoll that document their involvement with mining at Independence Mine, other mines in the Willow Creek Mining District, and elsewhere in Alaska, Canada, the United States, Spain, and South America. David and Jenny Strandberg family papers; 1897-1970. HMC-0357. Papers and photographs of an Alaskan mining family who worked gold mines at Dawson in the Yukon Territory, Ester Creek, and Flat Creek near Iditarod. David Strandberg (1875-1949) was also president of Strandberg and Sons Mines, Incorporated, which operated gold mining operations at Cripple Creek, Candle Creek, Utopia Creek, and a platinum mine on Clara Creek. Harold Strandberg papers; 1923-1985. HMC-0237. Strandberg (1909-1995) worked as a placer miner with his father and three brothers at Cripple Creek, Folger, Candle, and Manley Hot Springs, and as a platinum miner at Goodnews Bay. He later served two terms as a state legislator and worked as vice president and secretary of Strandberg and Sons, Inc. (later known as the Stranberg Mining Corporation). The collection contains Strandberg's mining engineering papers, including maps; Strandberg family mining records; and photographs and moving image film of the family's mining operations in Alaska. Strandberg Mines, Inc. records; 1910-1964. HMC-0359. Records of the business operations of Strandberg and Sons Inc. and Strandberg Mines, Inc., who operated mining operations at Eureka, Folger, Prospect Creek, Bishop Creek, Candle, Bonanza Creek, Ruby, and various other places throughout Alaska until the early 1960s. Joe Thome letters; undated, 1894. HMC-0243. Two letters written to family and friends by a miner who worked for the Treadwell Mining Company in Douglas and prospected for gold near Dawson and in the interior of Alaska. Joseph Turnidge letter; 1932. HMC-0248. Letter written by a gold miner who worked in the Atlin District near the Alaskan-Canadian border in 1899, describing his mining efforts. Frank H. Whitney scrapbook; undated, 1925. HMC-0894. Scrapbook of an operator of Jewel Mine in Crow Creek Pass. Yukon Territory negatives; 1908. HMC-0394. Glass-plate and nitrate negatives taken by an unidentified photographer in and around Dawson, Yukon territory, Canada that include images of gold dredges and miners.